For anyone to want to work with you, it’s crucial for them to know, like and trust you. While there are many ways to accomplish that, video content is proving to be the quickest path to building that rapport. When people see your face and hear you speak, it solidifies a relationship more quickly than if they read your website or email newsletter. As someone in the online business world, it’s clear to me that video content is king. With 58% of the adult population using YouTube and the majority of those users watching YouTube to learn something new, video content is an increasingly important component of any marketing plan. But it’s not just about building your following, monetizing your channel, or selling your services. 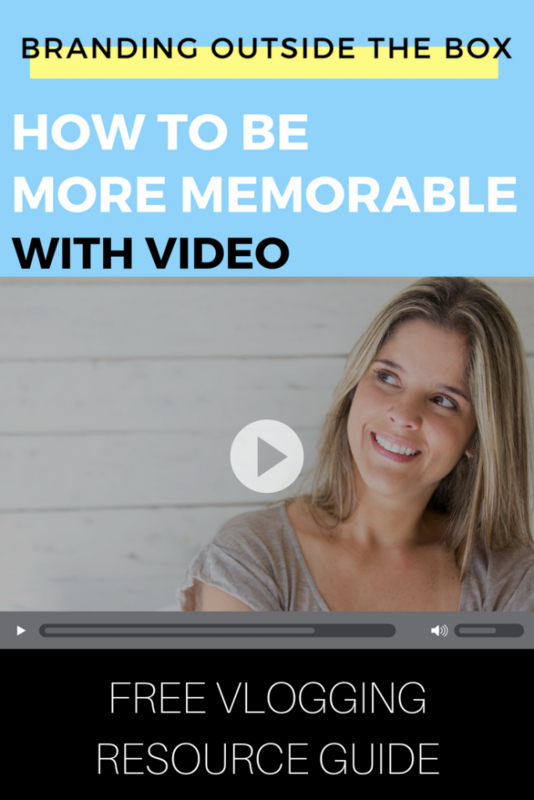 By creating helpful videos that convey your personality and brand values, you will actually become more memorable. I don’t want to have to get a bunch of equipment and software. I don’t have time to script, stage, shoot and edit videos on a regular basis. I don’t want to have to hire someone to edit my videos. It’s yet ONE more piece of content I’ll be on the hook to create. If you plan to edit the videos yourself, then you will need video editing software. If you use a MAC, you can do all your editing in iMovie, which comes with the computer and works just fine. As a PC user, I invested in Premiere Elements and really love the program. It has most of the same capabilities as Premiere Pro, but is way more affordable. I’m not going to pretend that creating consistent, quality video content doesn’t take time. It does. But now that I have a handful of videos under my belt, I can honestly say it doesn’t take as much time as I thought it would. The secret is batching your video-related tasks. For example, today I’m creating the scripts for my next five videos. Tomorrow, I’ll shoot all five videos, and the next day, I’ll edit them. In total, this can take anywhere between four to six hours. While this is a significant amount of time, it also serves as my YouTube content for more than a month. And when you think about how much time you spend on Facebook over the course of five weeks, four to six hours really doesn’t seem like that much, does it? Hiring someone to edit your videos will certainly free up time for you, but it is not necessary to hire a professional video editor in order to create quality content. Currently, I handle all the editing myself and am learning as I go. Could a professional do a better job in less time? Probably. But right now, I’m not looking to add another team member. Should the channel explode and the demand increase, then I may consider it, but for right now, I’m going DIY. …serve as a blog post that week; just add a short intro and embed the video on your site. …serve as newsletter content that week. …be edited down to 60 seconds and posted on Instagram and Facebook. …double as a podcast episode; just strip and edit the audio. So rather than creating separate content for each of my platforms, one video can serve as the content for all. I’m still in the early days of growing my channel, but I’m already seeing the results. I’ve received a slew of new newsletter sign ups, higher social media engagement, and more emails from community members saying how much they enjoyed the videos. Most of the content I’m posting isn’t new – I’ve discussed topics like networking and personal branding in previous blog posts and newsletters – but it’s being delivered in a way that creates a more personal connection. I hope you’ll subscribe to my channel and leave a comment on the videos. And if you have a YouTube presence yourself or are currently working to build one, feel free to share your own link in the comments section of this post!